A favourite childhood character for generations of families. This mischievous rabbit is a main character of our upmarket, nostalgic, sentimental collection! 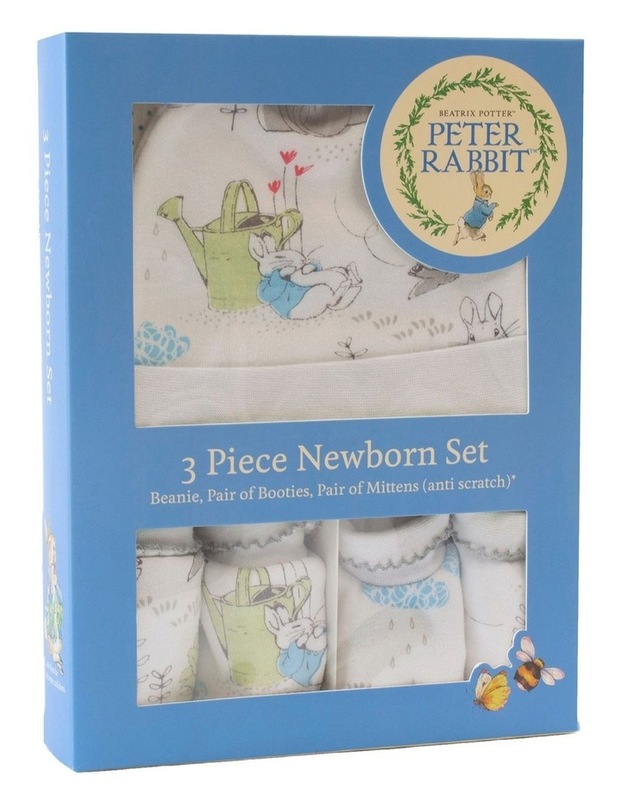 This essential newborn accessories pack makes a luxurious and cosy addition to any nursery wardrobe. Perfect for taking your new baby home for the first time. * This Newborn Gift Set includes an adorable beanie , booties, anti-scatch mittens.